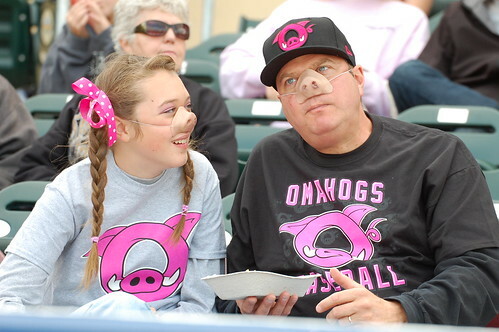 The Omaha Storm Chasers spent one evening only as the OmaHogs, which was the runner-up in the fan vote for the new team name two years ago. It was “What If?” night, and the team’s magic number was just two. A win over 2nd-place Nashville would clinch Omaha’s 2nd consecutive division title. 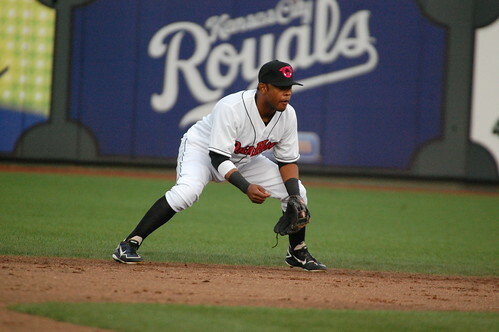 So in their hot pink OmaHogs duds, the Chasers did exactly that. 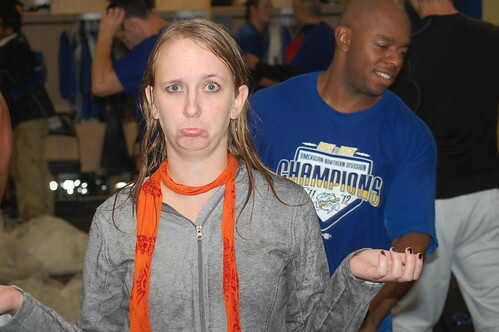 Because somehow my life turned into awesomeness, I was there for it, and my camera somehow survived. Let’s take a journey with pictures. These 2 fans were REALLY into the theme night. 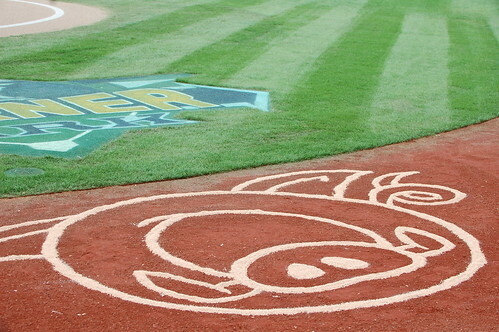 Props to the ground crew for bringing Ben Tupman's OmaHogs logo to life on the field! 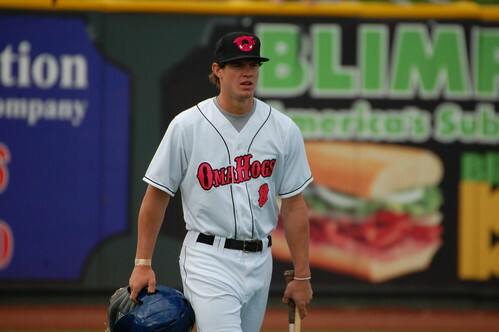 Wil Myers in his OmaHogs uni. I love these so much. Nathan Adcock had more fun than anyone tonight. 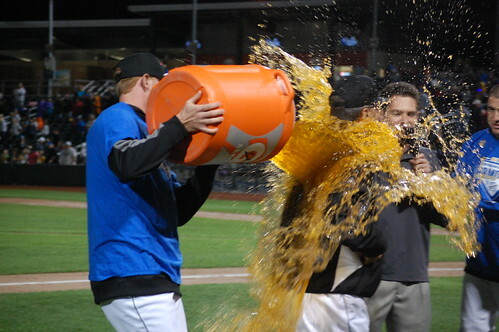 Here's his Gatorade bath of manager Mike Jirschele. Doug Davis finding very creative new uses for a vuvuzela in the clubhouse. His face...wow. I chose this for two reasons. One, to give a sense of the amount of cans and bottles in the place, and two...beer-soaked Mitch Maier. Duh. 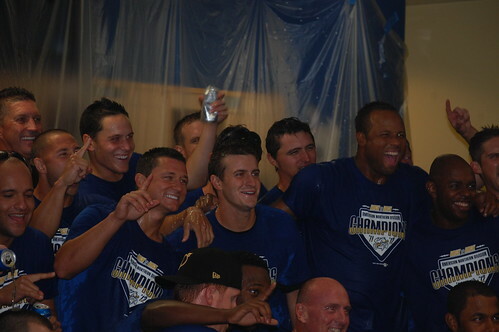 Wil Myers beer shower. Yes. David Lough and his great, great smile. 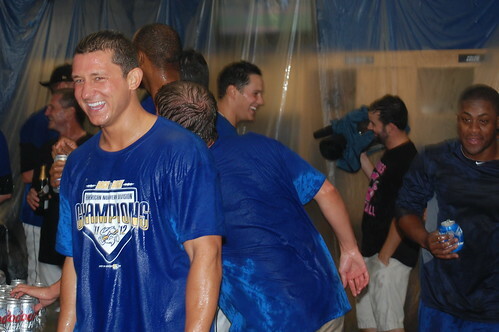 That's Roman Colon with the big grin there. This is the crown jewel, frankly. 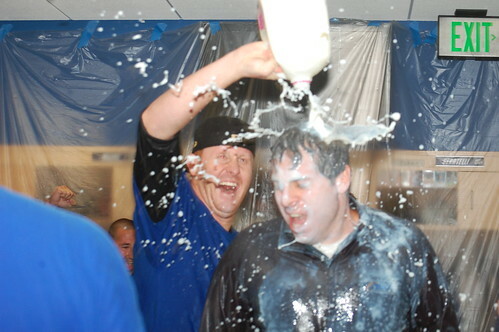 Nathan Adcock pouring MILK on broadcaster Mark Nasser. WHAT. There are at least 8 full beers, and parts of many others, on my clothes, hair, camera and phone. Sad.